Percy Gaylard is one of the men whose name appears on the list of Bottesford servicemen that was discovered in St Mary’s in 1995. Percival Charles Gaylard was born on 17th December, 1882, in Wheathampstead, Hertfordshire, and baptised on the 18th February, 1883. His parents were Richard Charles Gaylard and Esther Elizabeth Gaylard, nee Starkiss. Richard Gaylard was born in 1856 in Potters Bar and his wife Esther Elizabeth was born in 1856 in Little Berkhampstead. They married in 1878 at Essendon, Herts. Richard Gaylard was a railway man who held posts with the Great Northern Railway Company (the GNR) during his career. In 1891, Percival was living with his family in the Stationmaster’s House on North Road, Baldock. In 1901, aged 28, he was a railway clerk at Hoddesdon, living in Great Northern Railway Street with his parents and brother Trevor. His father was now the GNR stationmaster at Hertford. In 1911, Percy was living as a boarder at 6 Briscoe Road, Hoddesdon, presumably because his father (now a widower) had moved to Bottesford with his other son Trevor, to take up the post of Stationmaster. They lived at 7 Station Road, Bottesford. Both brothers were included in the Bottesford church list. Trevor was also included on the list of Absentee Voters in 1918, but Percy was not. Indeed, apart from his family connection with Bottesford and its station, he does not appear to have had strong ties with the village. Percy Gaylard married Rosa Margaret Mott on the 19th December, 1914, in Bath. The couple lived in Batheaston, Bath, until they moved to Hertford Road, Hoddesdon, in June 1917. Margaret Gaylard’s allowance from the War Office at this time was £1.2s per week. On his Short Term Attestation Paper, completed in London, Percy Gaylard described his occupation as that of a railway clerk. 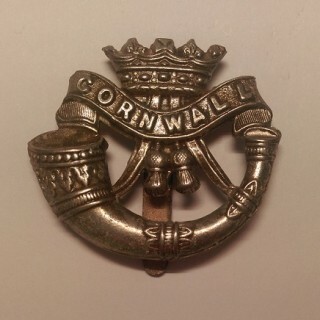 He was posted to the Duke of Cornwall’s Light Infantry (DCLI), his Service Number was 13994 and he was aged 32 at the time of his attestation. He had previously served in B Squadron, Hertfordshire Yeomanry, since November 1909. His records state that he then served for 4 years 173 days, in France, Egypt and the Dardanelles. Being an older and therefore experienced clerk, he was singled out for administrative duties at an early stage. This probably saved his life. When Kitchener’s Volunteers came forward in large numbers in the autumn of 1914, Percy was rapidly promoted to Sergeant. Following his initial posting as a Private on the 5th September, 1914, he achieved the rank of Sergeant on the 26th November, 1914. This probably reflects his age and experience, which would have deemed him to be a suitable candidate for promotion to NCO. He embarked at Southampton on the 19th September, 1915, bound for Rouen on HMS India. He arrived there on 22nd September and joined the 3rd Echelon. ‘DAG 3RD Echelon’ was the name given to the office of the Deputy Adjutant-General (DAG) at the Base. There was only one such office for the whole of the British Expeditionary Force, located at Rouen, which handled all records and general manpower matters. The commander of DAG throughout the war was Major-General E.R.C. Graham. It seems that from now until the end of his war, Percival Gaylard worked for the Office i/c of Infantry Records. He was transferred from the 3rd Echelon in Rouen on 11th November, 1915, embarking on HMS Canada on 13th November at Marseilles and disembarking at Alexandria on 20th November, 1915, to join the 3rd Echelon there, presumably the office responsible for the Mediterranean area. Percy was transferred from the Alexandria office on 6th November, 1916, and sailed to Salonika on HMS Menomonie, disembarking on 11th November 1916 and joining the 3rd Echelon at Lembet on the 11th November, 1916. Lembet was a substantial base camp and medical centre inland north east of the Salonika port. Percy proceeded to join his Battalion (8th Bn, Duke of Cornwall’s Light Infantry) in the field on 4th September, 1917, joining them the following day. However, he returned to rejoin the 3rd Echelon office only a week later, on the 11th/12th September, 1917. He was granted leave to return to the UK on 9th December, 1918, and embarked at Itea (Greece) on the 19th December, 1918. He was demobilised to Army Reserve on the 25th February 1919 at Exeter. His home address was given then as 17, Hertford Road, Hoddesdon, Herts. 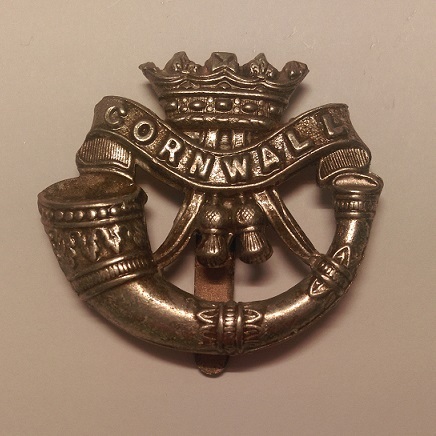 At the time of his demobilisation, he was Colour Sergeant 13994 with the 8th Service Battalion, Duke of Cornwall’s Light Infantry. He received the 14/15 Star, the British War Medal and the Victory Medal. In November, 1921, Percy Charles Gaylard was initiated into the United Grand Lodge of England, Earl Strafford Lodge, based at New Barnet, Hertfordshire. In 1939, he was a railway clerk (accountant), and his address was at “Home Villa” , Mount Pleasant Road, Hertford, where he lived with his wife Rosa Margaret, their son Richard Percival Gaylard, an electrical engineer, and four other children. Percy Charles Gaylard died on 6th January, 1954, aged 72, when he was living at Hertford Heath. The Bottesford Parish WW1 Centenary Project has been grateful for the assistance of Jonathan D’Hooghe in interpreting the Service Papers of Percy Gaylard.